JJ 5U4GB. 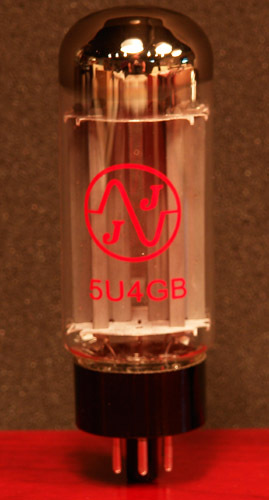 A great new production 5U4GB with dynamics equal to the classic RCA 5U4GB. Not too stiff with just the right amount of sag. Great replacement for all classic 5U4 applications. Our 5U4GB's are tested in a custom rectifier tube test fixture. This unit allows us to select multiple reservoir cap values and it features a standby switch between the reservoir cap and rectifier tube. This standby switch configuration is the absolute hardest on rectifier tubes and commonly used in guitar amps. Replicating this allows us to apply the the full inrush current from the reservoir cap with the rectifier tubes highest rated values. 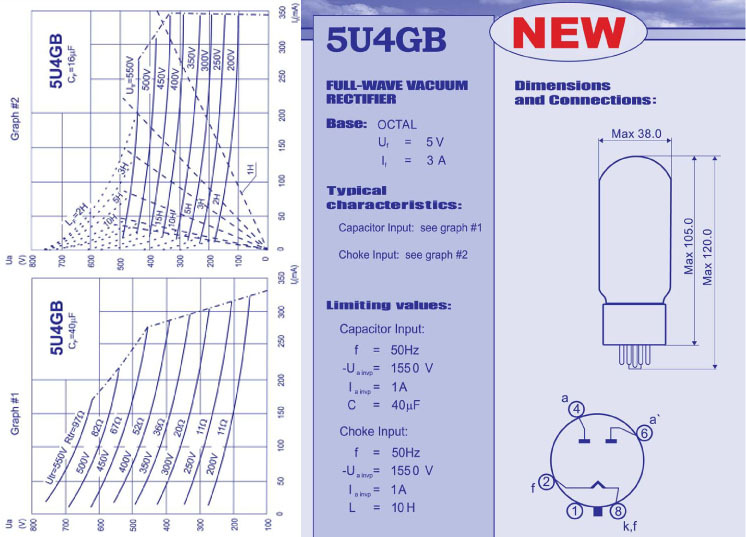 The JJ 5U4GB is a modern production replacement for all classic GZ34/5AR4 rectifier applications. The JJ is a proper directly heated recreation that has the correct voltage output and feel. If you're used to using the Sovtek and Chinese variants you'll be pleasantly surprised. These tubes are rated for a maximum reservoir capacitance of 40uF. This can be exceeded under the correct conditions. However if great care is not taken, exceeding this rating will greatly shorten the tubes life.